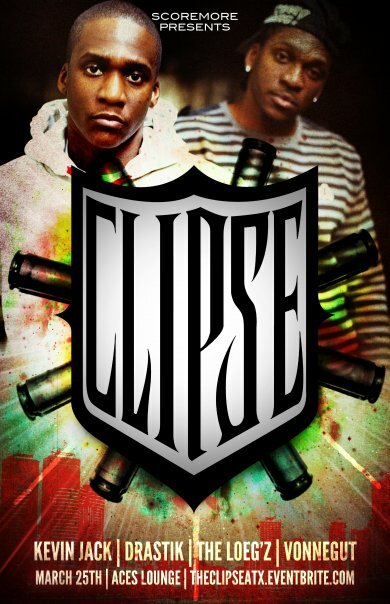 From the I'm good department... Clipse @ Aces Lounge on March 25th! Dude. Was SXSW crazy or what?! I'm pooped. Props to Matt Sonzala for putting together another successful SX! Clipse is a critically acclaimed Virginia Beach, Virginia-based hip hop duo. Formed in 1992 by brothers Malice (Gene Thornton) and Pusha T (Terrence Thornton), the group is affiliated with multi-platinum production team The Neptunes. The Thornton brothers were born in The Bronx, New York City and raised in Virginia Beach, Virginia. They formed the group Clipse in 1992, and were introduced to Pharrell Williams, one half of the production team The Neptunes, in 1993. Impressed with their lyrical talents, Williams formed a working relationship with the duo. He eventually helped them secure a recording contract with Elektra Records in 1997. Under Elektra, and with The Neptunes handling its production, Clipse recorded its debut album, Exclusive Audio Footage. The group's first single, "The Funeral", helped to generate fan interest in the album, but failed to make a significant commercial impact. With "The Funeral" deemed a failure, Exclusive Audio Footage itself was shelved indefinitely. Clipse was released from its record contract shortly thereafter. Austin Hip-Hop Scene iPhone App Updated!